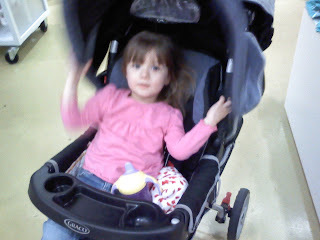 Here is a picture of Alyce chilling out in her stroller. She is starting to figure it out. Walking through the mall is for the birds. Why walk when you can roll in style? 0 comments on "Just Chillin"